Empowering Australian home buyers in a market that is heavily weighed against them. In Australia there’s been a real lack of information for real estate buyers. It can take home buyers up to 2 years to RealAs their ability to purchase property in the market due real estate agents under quoting property prices. With under quoting at an average of 150,000 AUD below the market value per property, The market is waged against the home buyer. After undertaking research around Australia our team developed a number of service concepts and prototypes that were tested with users to determine a product to bring to market that addressed the issues home buyers are facing in the real estate market. 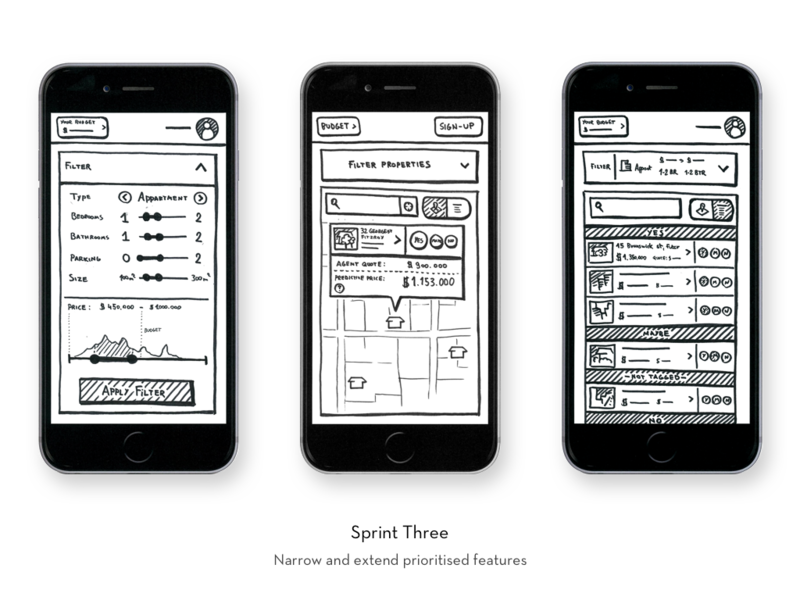 Over a a 6 month period I was responsible for the UI/UX and Brand design of the product. I was heavily involved in the initial conceptual stages of the project and used that context through to the development and go to market of the product where I would be the sole UI designer. 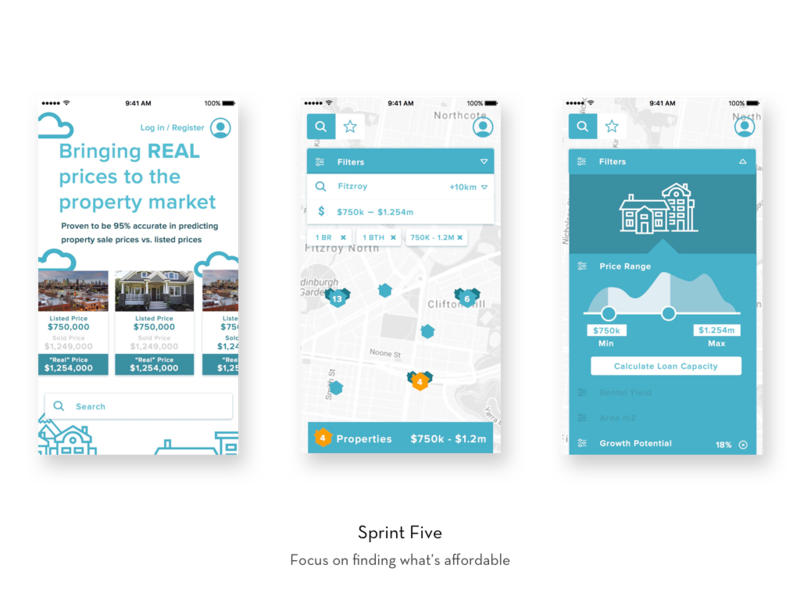 Realas is a property price prediction service that offers users information to better arm themselves in the property market. 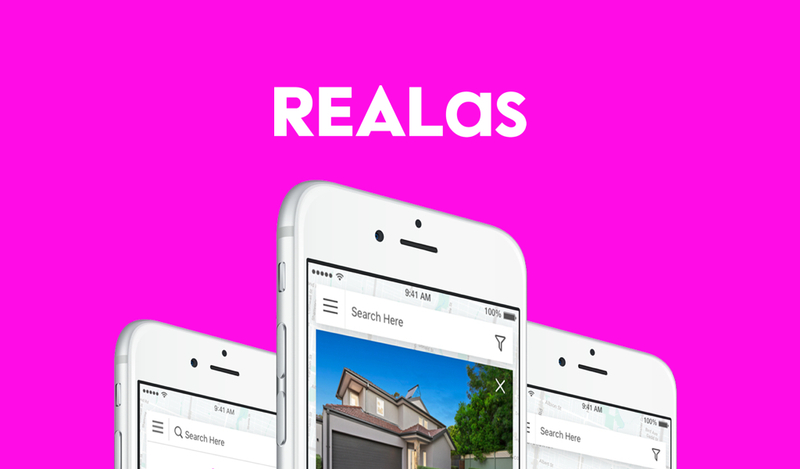 Not only does RealAs provide an accurate price prediction for Australian properties, it provides users with information to gauge the value of the property by providing additional information that may affect the property’s financial value. The initial phase of the project saw a series of two weeks sprints to define a service concept based on research conducted prior. 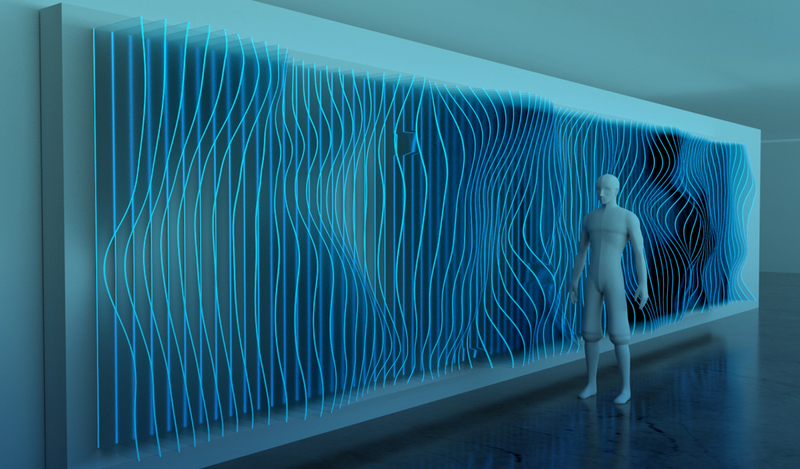 We started with 9 service concepts developed in concepting workshops with the client. These concepts were tested with users, prioritised and further matured in the following sprints. The key insights throughout the sprints were that the core proposition of finding a home by accurate price and affordability is highly valued. The difficulty of providing such a service was that user’s were reluctant to trust a service in a market where trust is very low. The ongoing issue for the remainder of the project was how might we encourage the user to trust the information we are providing Is as accurate as we say it is. The branding of this product was a low priority in the client’s eye, they decided to develop a brand a long side the service concepting. 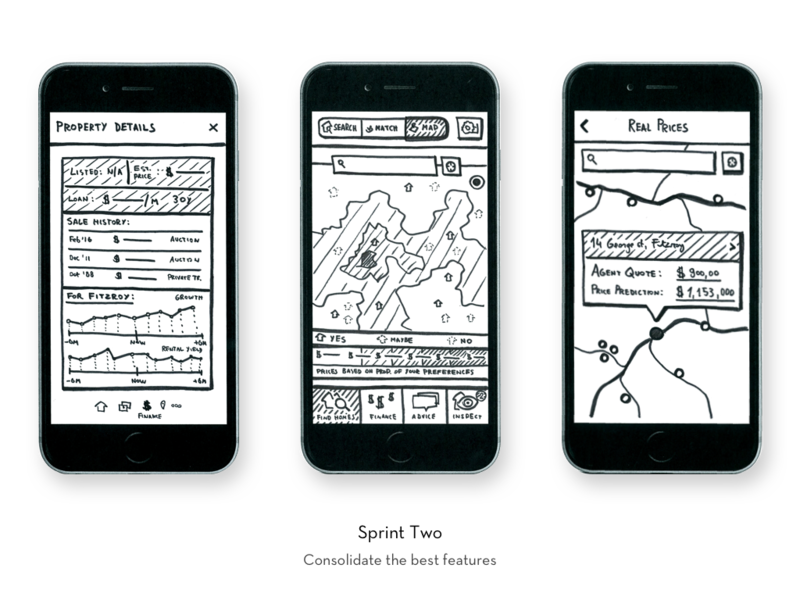 Within the design sprints we developed several brands and tested them with users. I found that we could have done this more efficiently as insights from the research lent towards personal taste rather than reflecting brand values and principles. During testing we found two behaviours that were quite prominent. 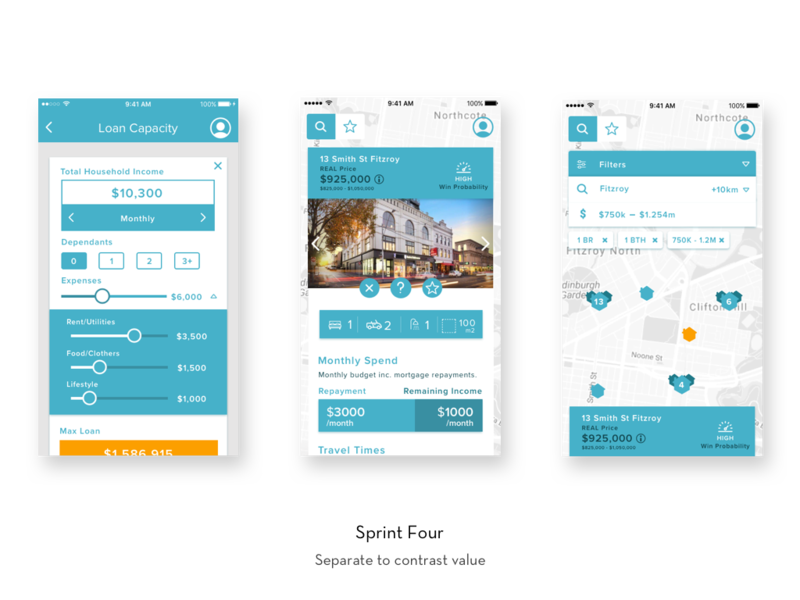 Firstly users instantly wanted to search their own property or a property that they were looking at buying. The other behaviour was a desire to browse a suburb as their motive for buying a home strongly related to the suburb rather than the address. 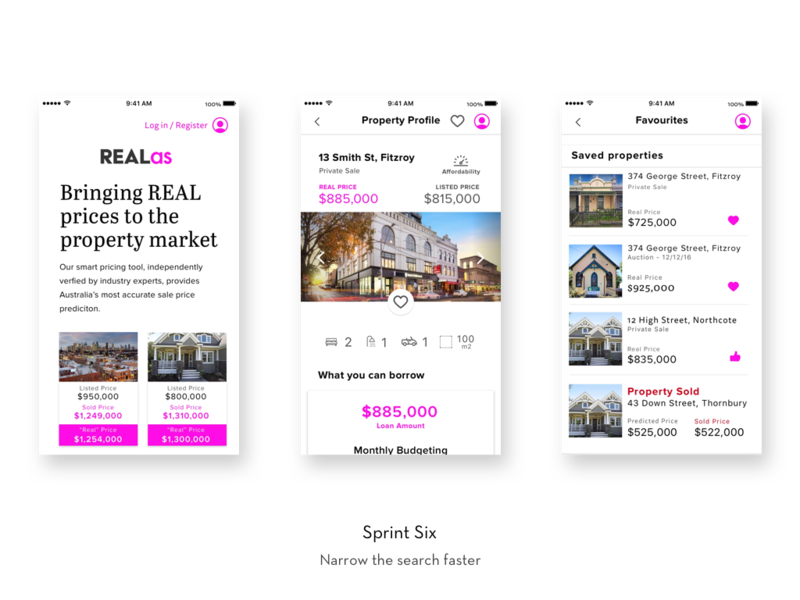 With these behaviours in mind I designed the product to enable these behaviours by creating a dynamic single page style experience set on top of a map populated with listed properties. 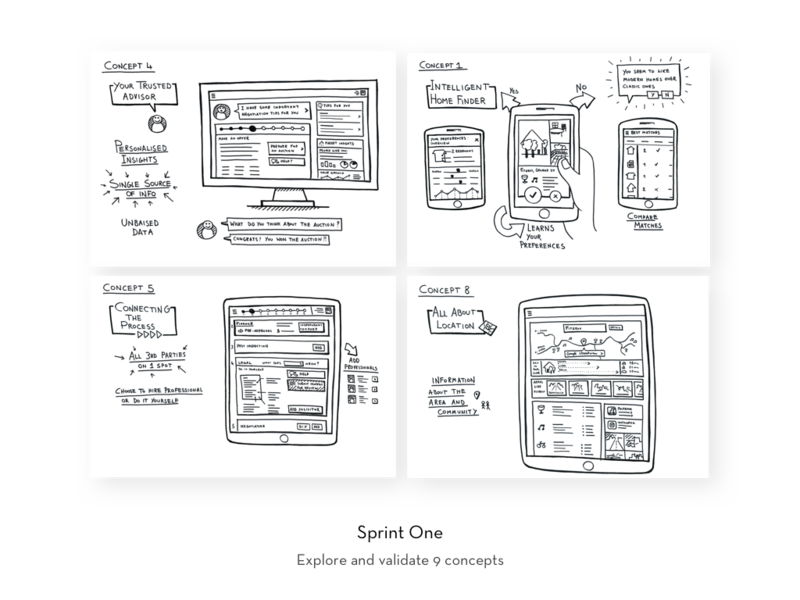 By designing it in such a way the user is able to explore different properties from the map and quickly open different properties without the page changing.